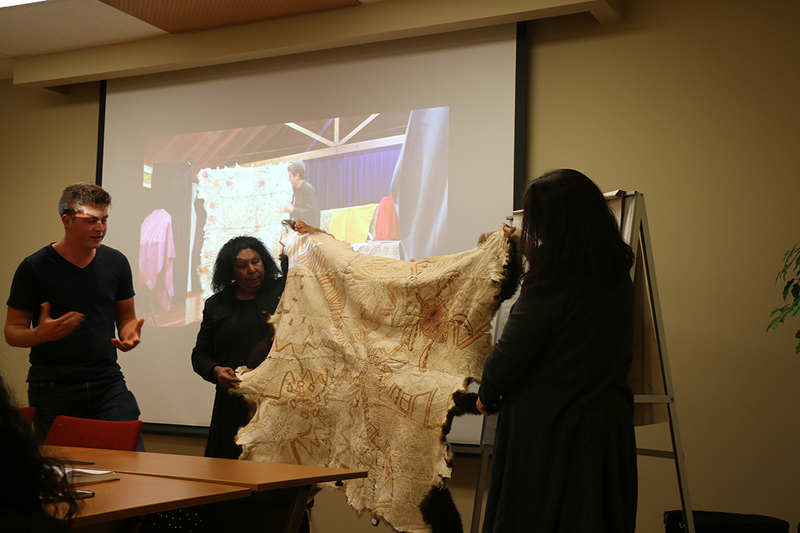 The community involvement, that was a component of the WRAPPED IN CULTURE project, was incredibly successful. 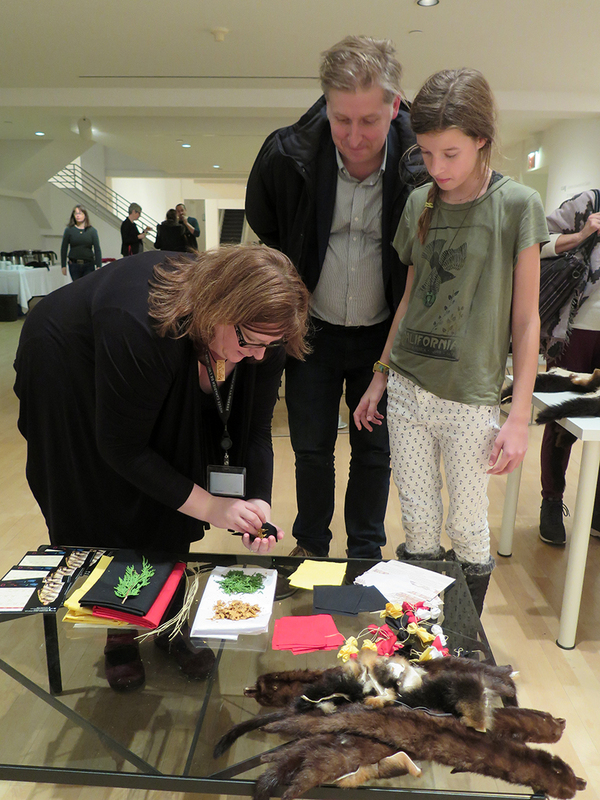 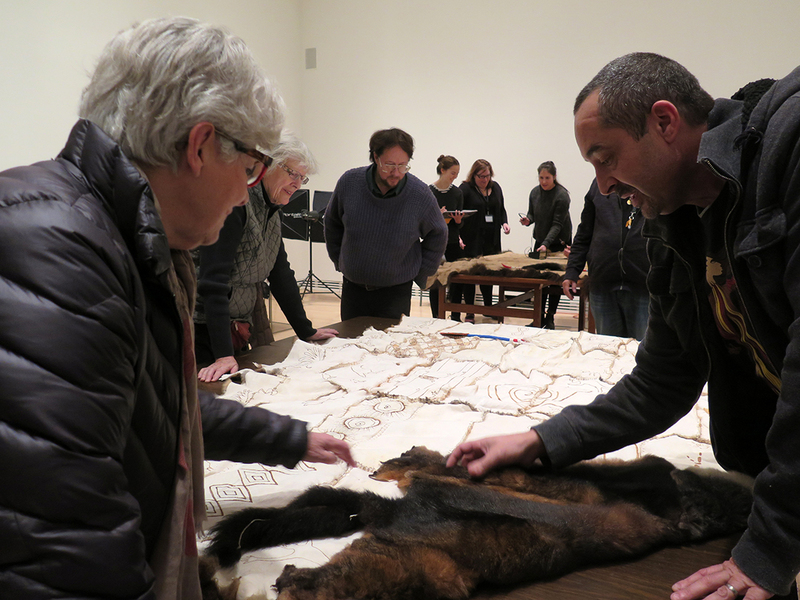 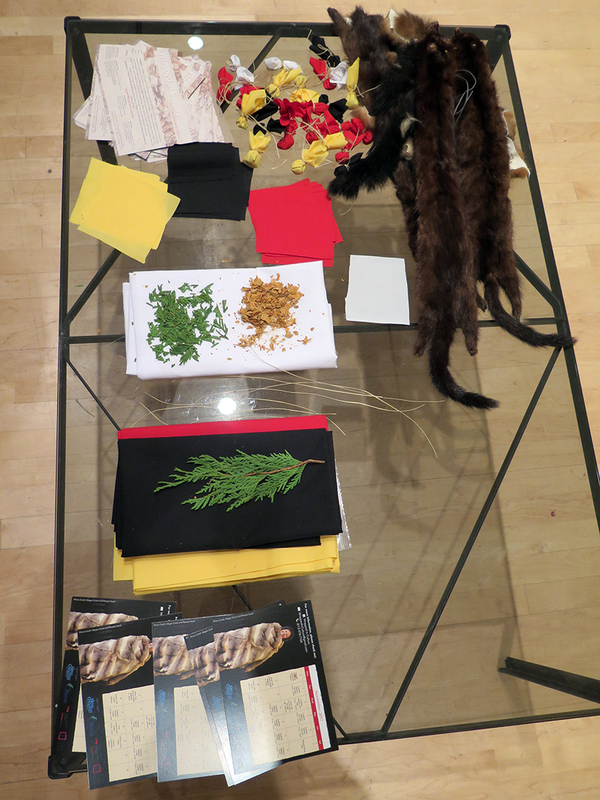 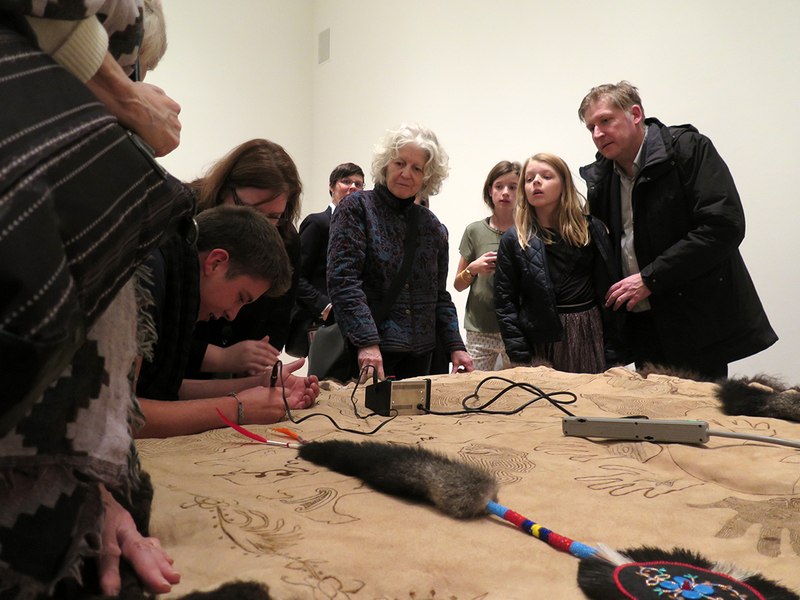 The public was encouraged to drop in to our creation sessions to both observe and participate. 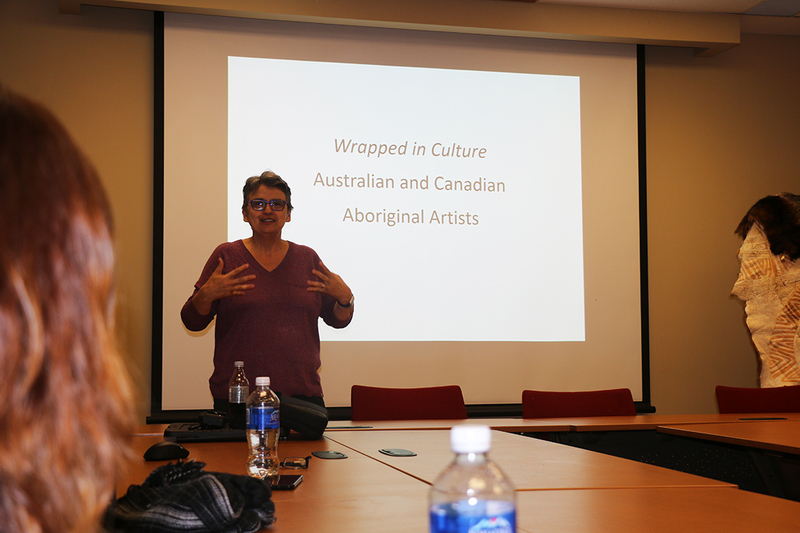 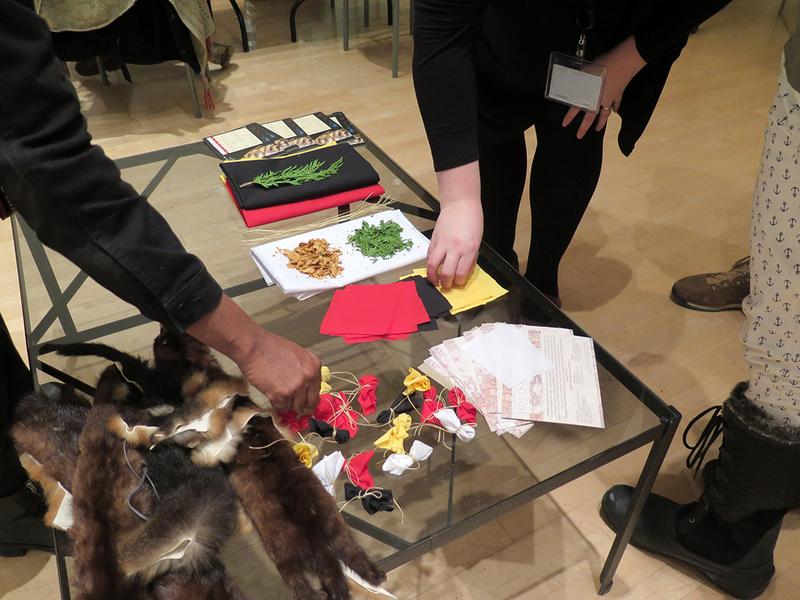 Along with the creation sessions, artist talks were held at the library at the University of Ottawa, Wabano Centre for Aboriginal Health and the Carleton University Art Gallery (CUAG). 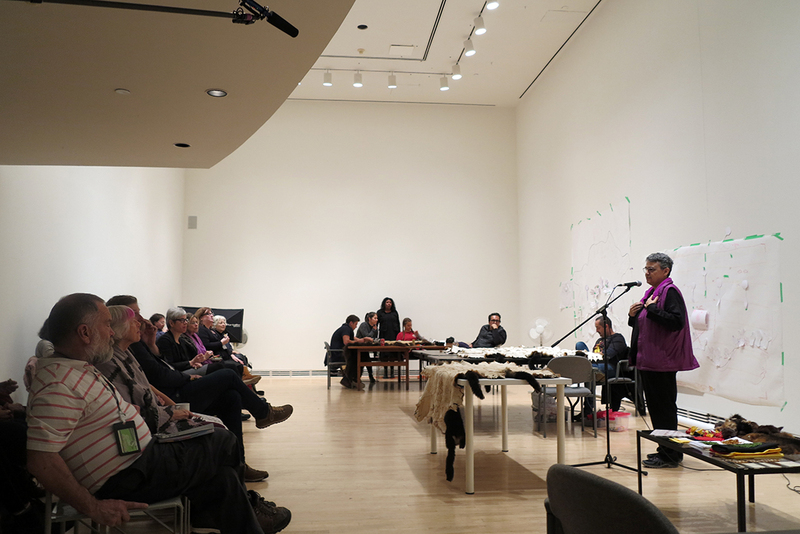 At the talks the artists shared the cultural significance of their contemporary art practices, linking the past with the present and demonstrating the healing power of reviving cultural practices. 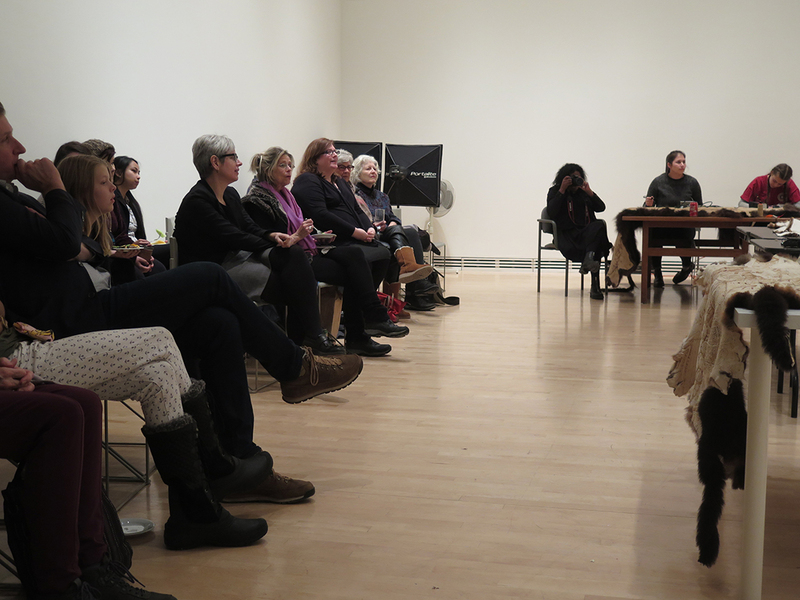 The CUAG talk was unique in that it broke with the standard artist talk structure. 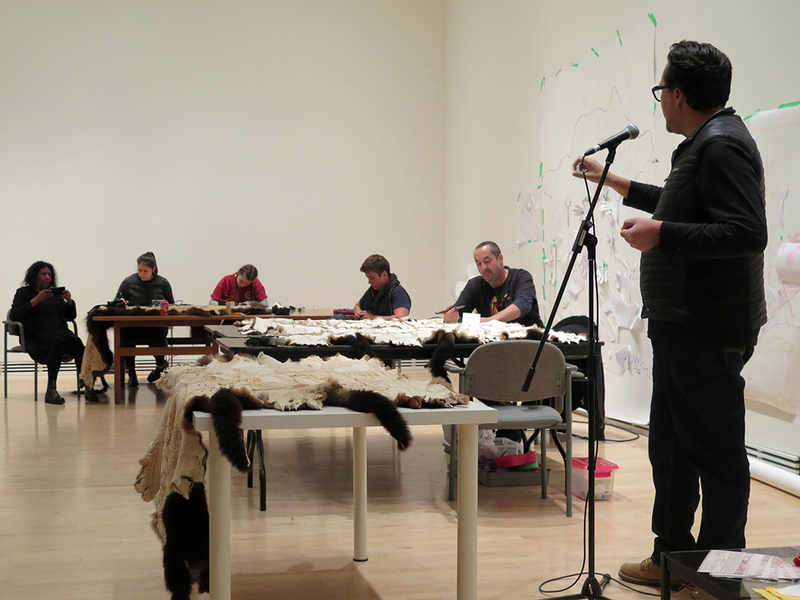 The artists carried on working while other artists, Rosalie Favell, Mitch Mahoney, Maree Clarke and Adrian Stimson, came to the microphone to share in the role of speaking about the various parts of the project as well as the historical significance of both the Possum Cloak in Australia and the Buffalo Robe to the Blackfoot in Canada. 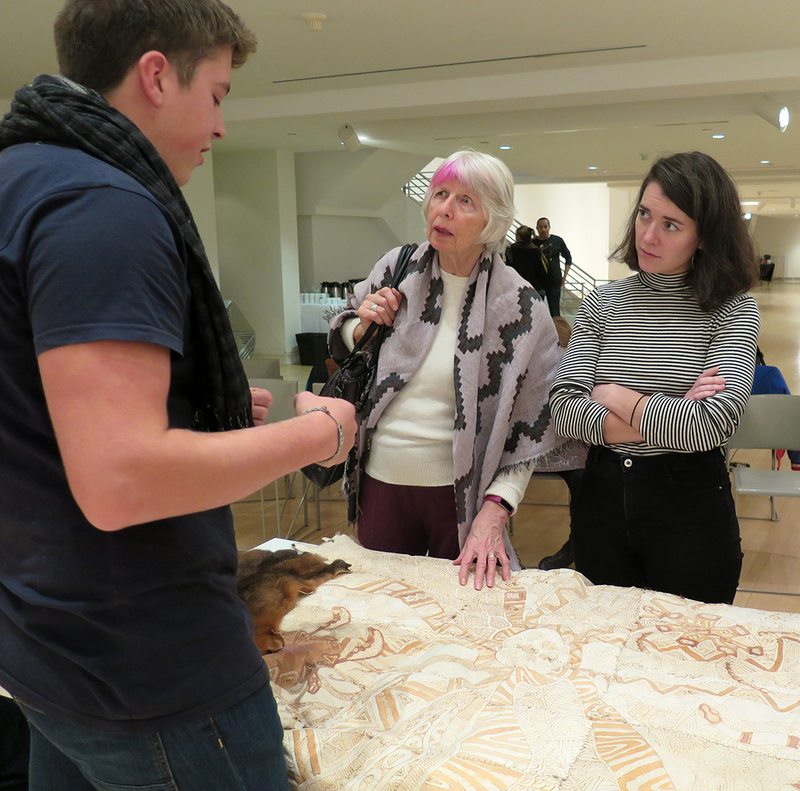 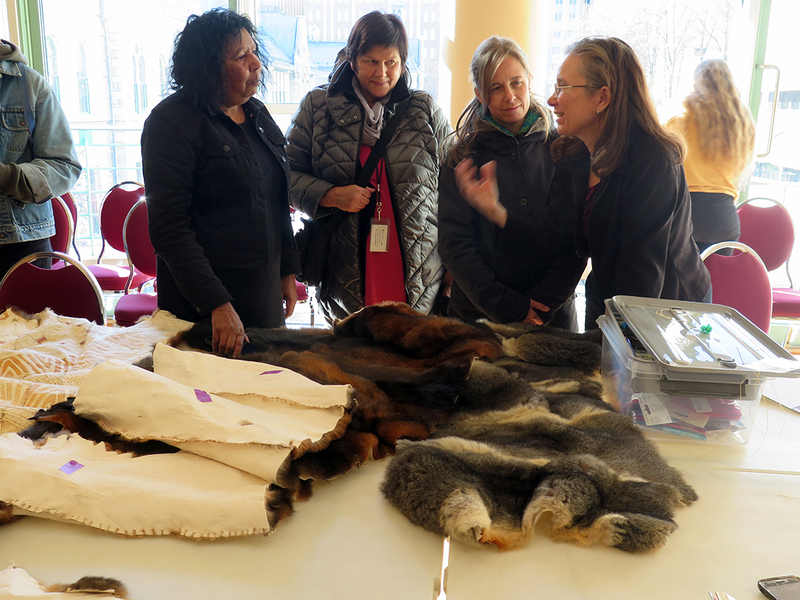 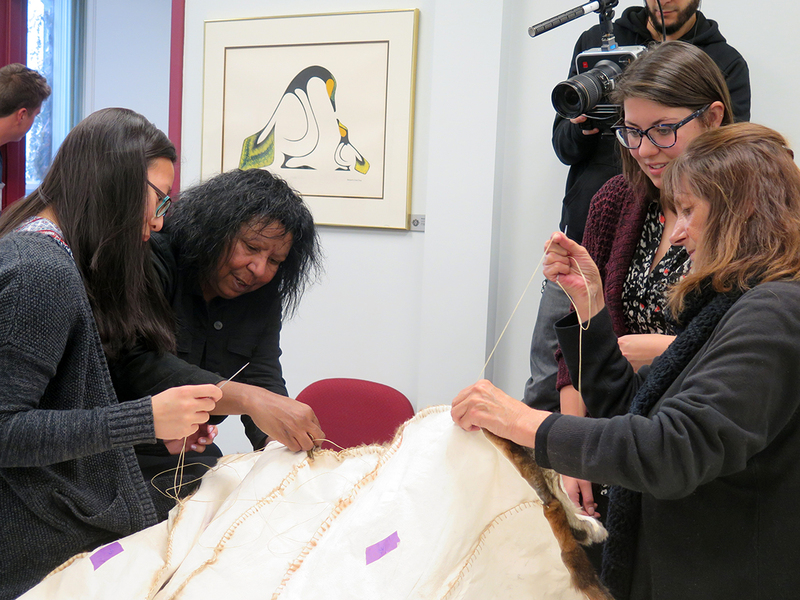 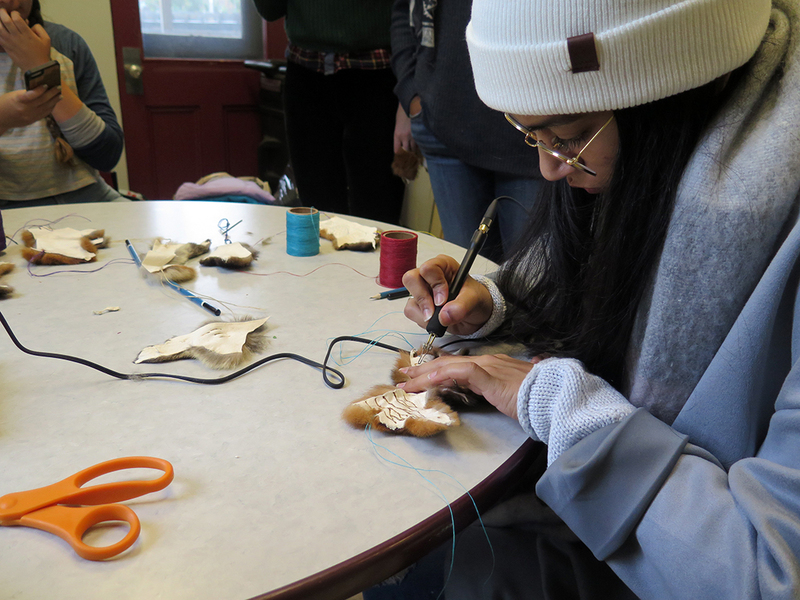 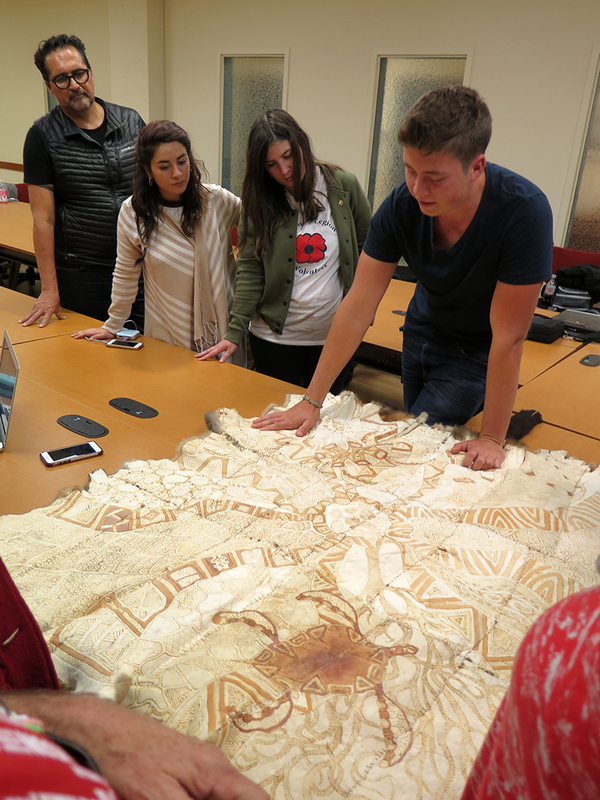 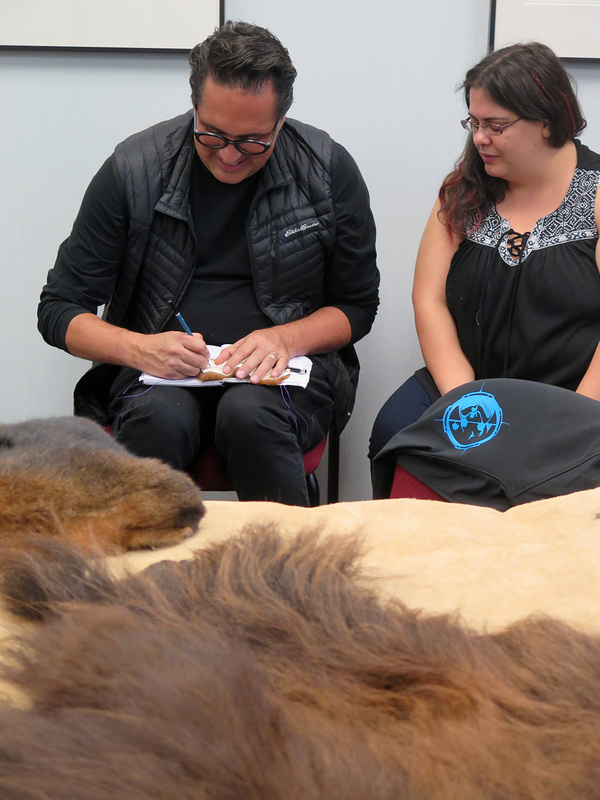 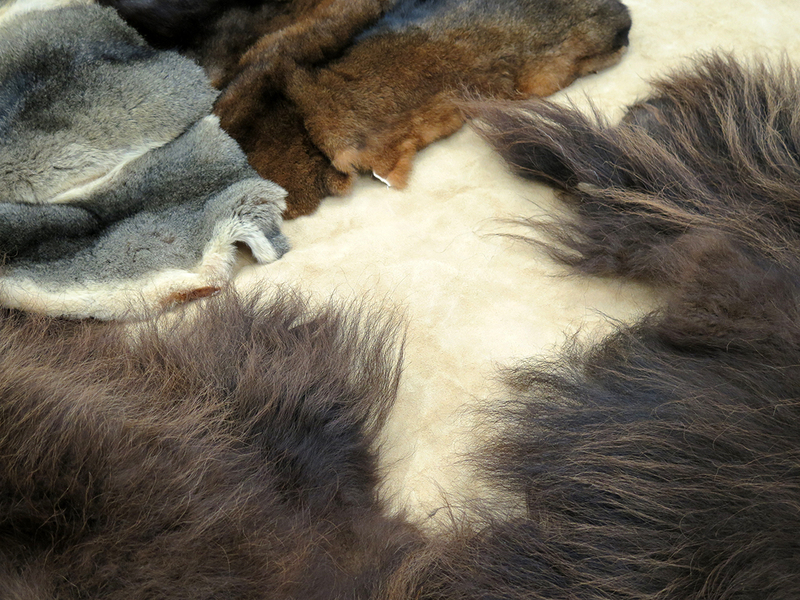 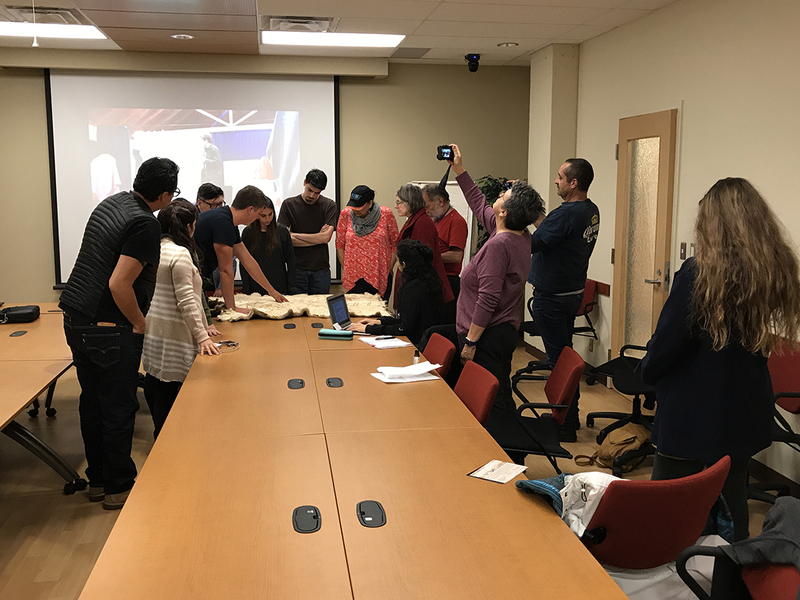 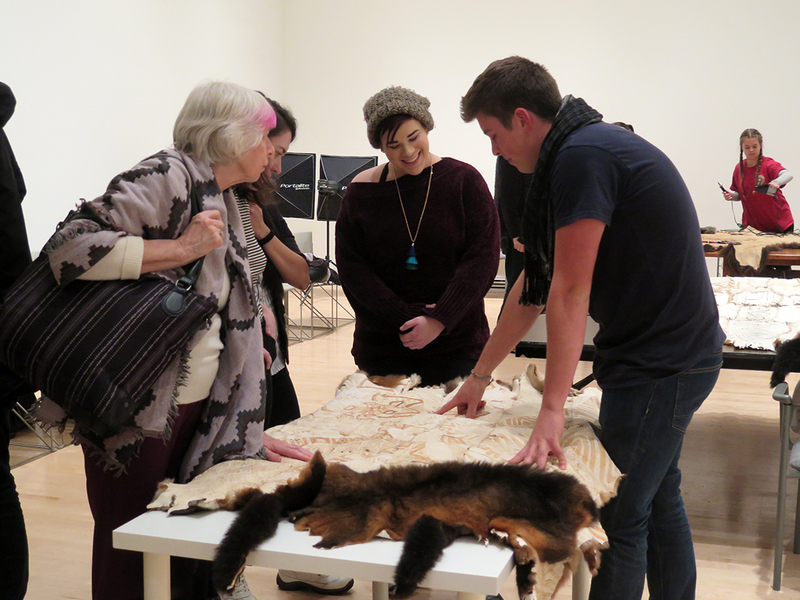 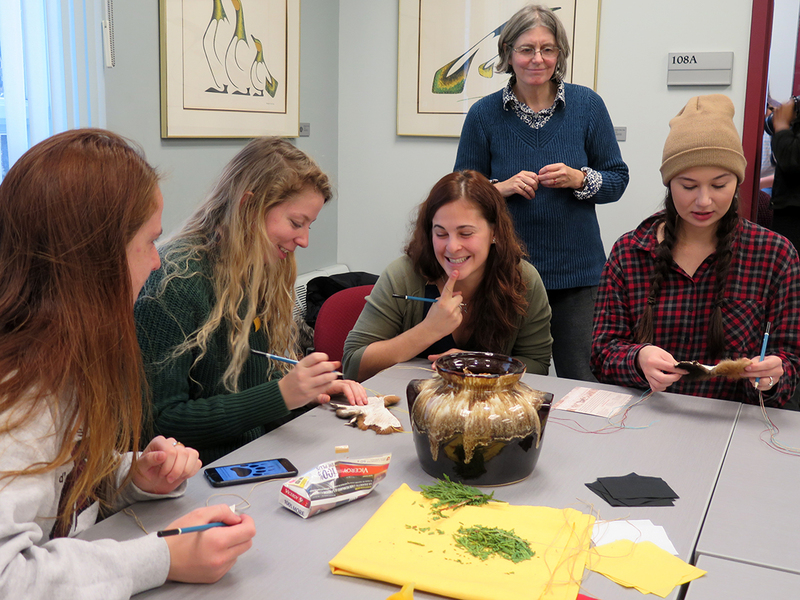 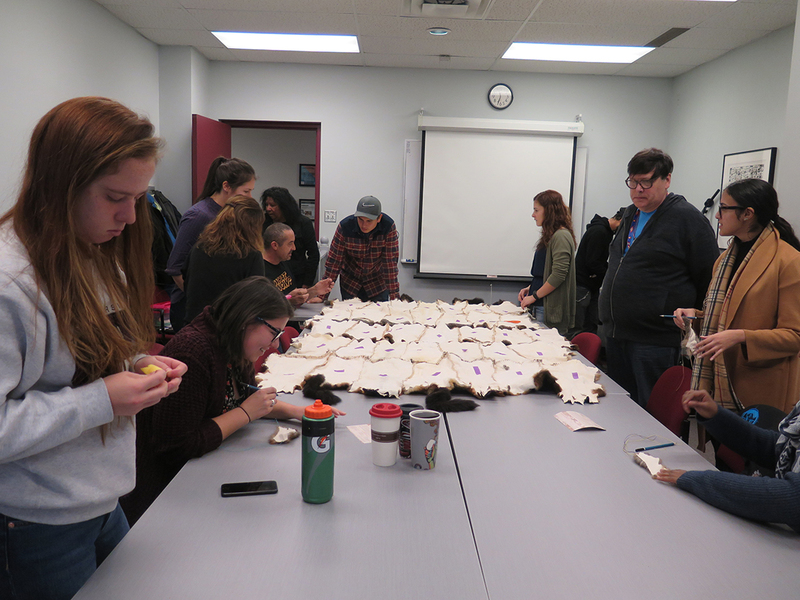 The WRAPPED IN CULTURE artists also conducted a workshop for the Ottawa University Indigenous Studies Department where the students learned about cultural practices while working on the final stitching of the Possum Cloak. 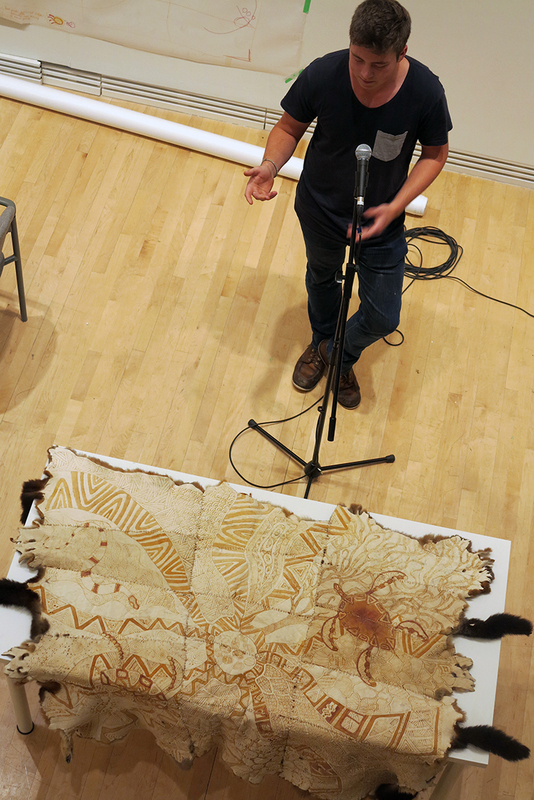 Along with the creative sessions and artist talks an opening and closing ceremony were also held. 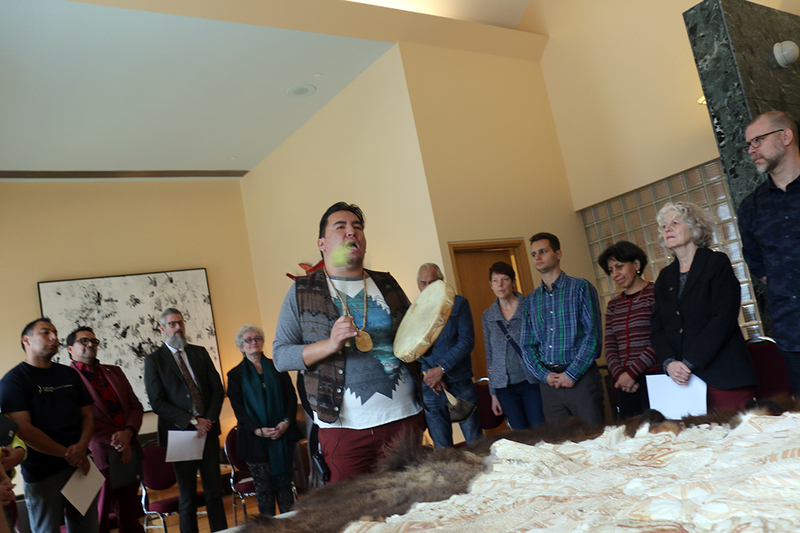 The opening ceremony was conducted at the Ottawa City Hall by Algonquin elder Albert Dumont with a welcome song performed by singer David Charette. 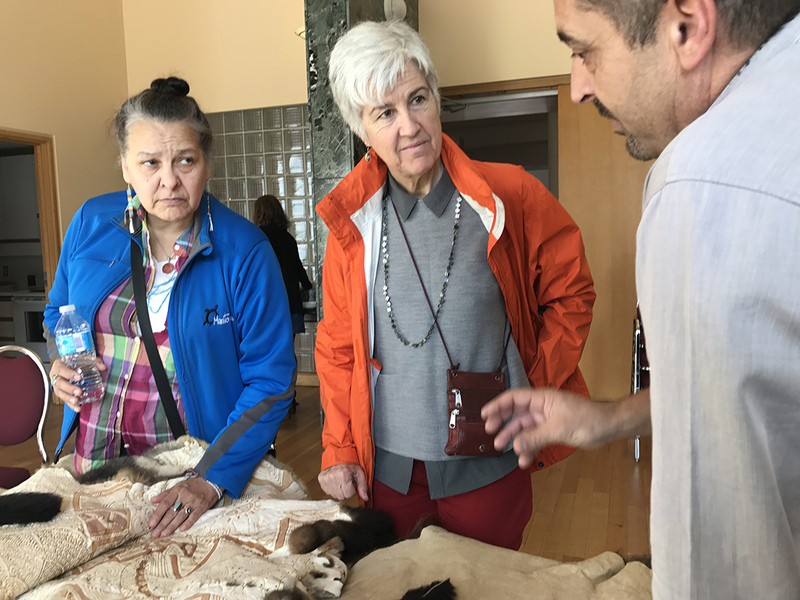 The opening ceremony also included the participation of the Australian High Commissioner Tony Negus, Nicole Zuger of the City of Ottawa, City of Ottawa Councilor Catherine McKenney, and Steve Loft, the director of Indigenous Arts at the Canada Council for the Arts. 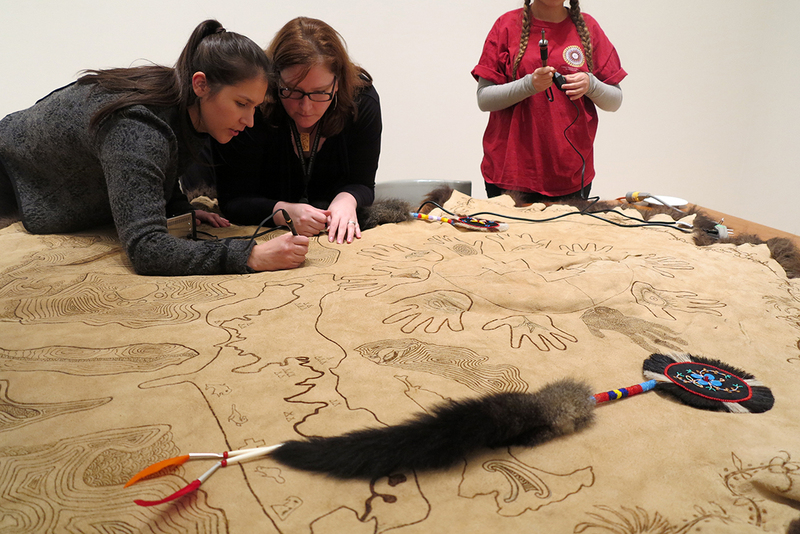 Our community outreach will continue again as the finished Cloak and Robe will be exhibited at the Ottawa Art Gallery (OAG) from April 12 – September 15, 2019. 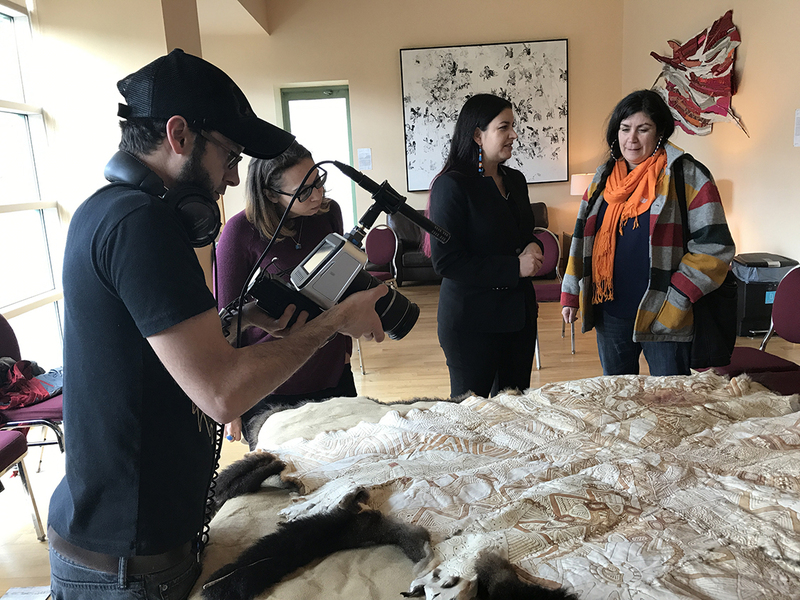 After the OAG dates, the exhibition will tour to the Blackfoot Community Centre in Alberta and Footscray Community Arts Centre in Melbourne, Australia. 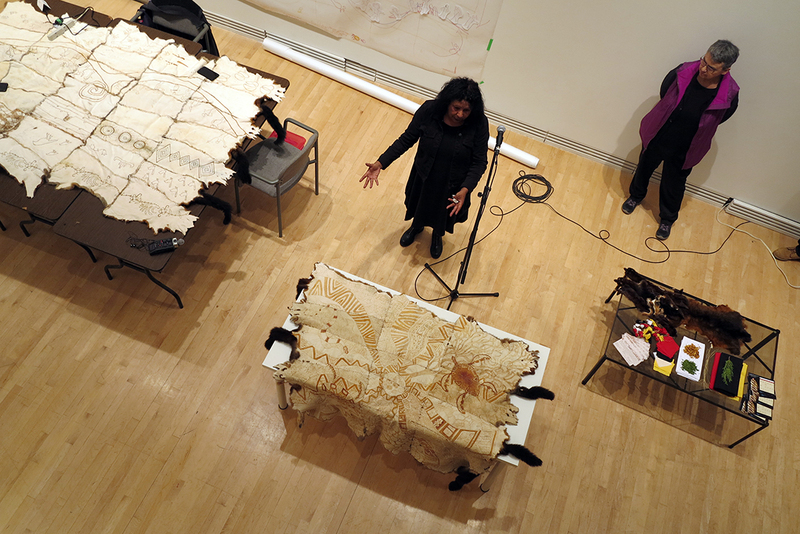 WRAPPED IN CULTURE would like to thank everyone in the community of Ottawa and beyond who came out and participated in our project. 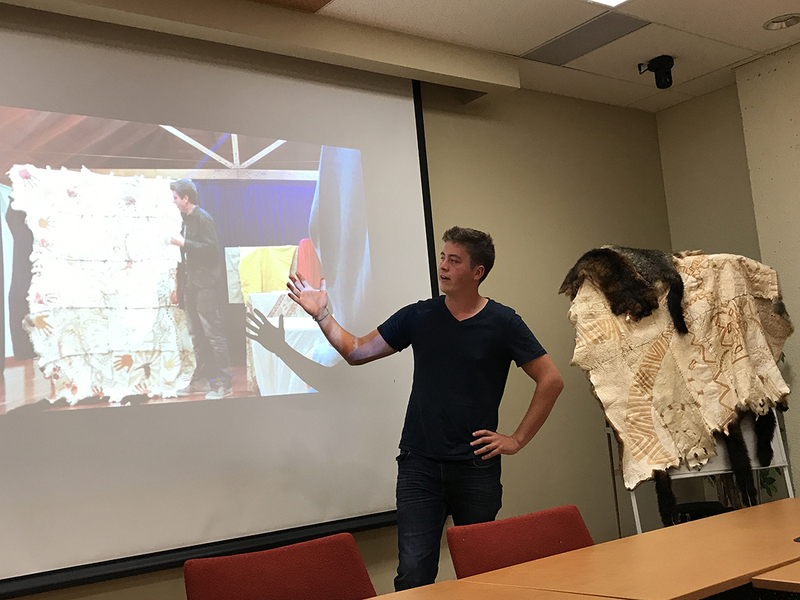 IMAGE CREDITS: Top & bottom courtesy of Rosalie Favell. 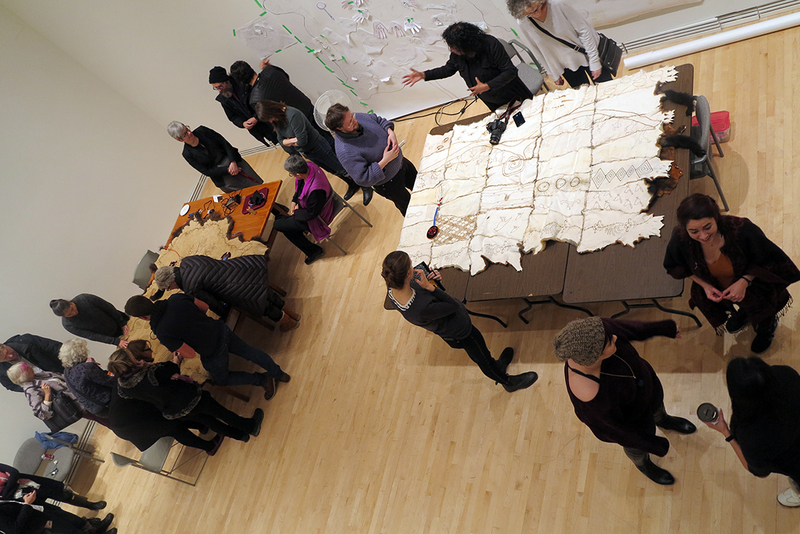 | Gallery images courtesy of Rosalie Favell, Maree Clark and Leah Snyder.